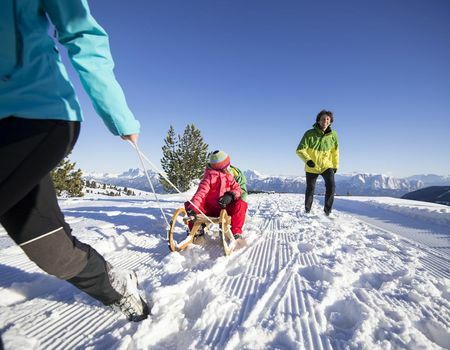 Peaks dusted with snow, alpine pastures and snow-covered mountain villages, romantic Christmas markets and ski carousels with infinitely long runs: all this is Winter in South Tyrol. 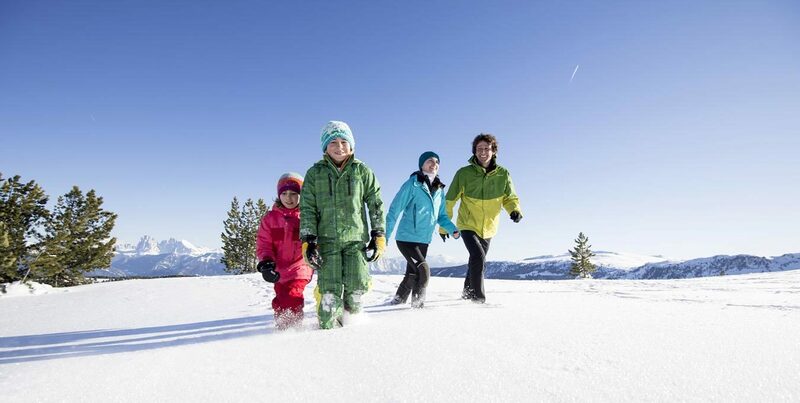 South Tyrol, however, has many more surprises, especially for active holiday pundits. 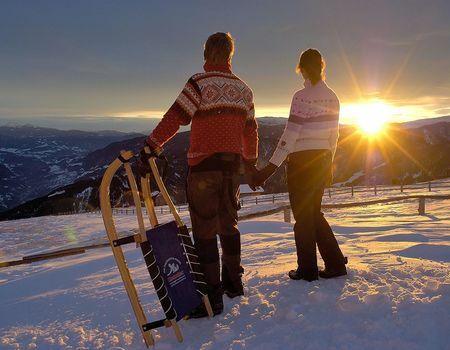 Skiing down perfectly groomed runs, sledding on very long slopes, cross-country skiing through snow-covered sceneries or trekking on snow-shoes in the beautiful winter landscape. 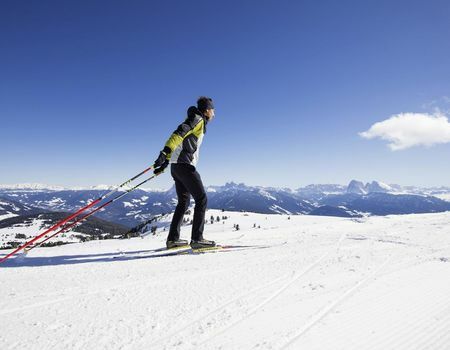 This and much more awaits you in South Tyrol. 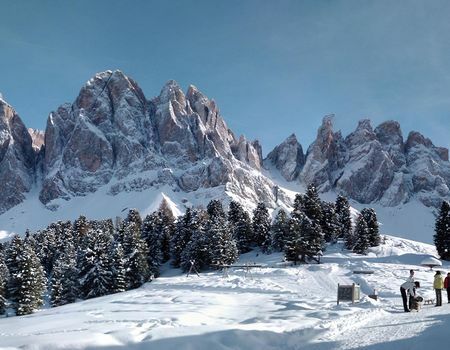 The skibus will pick you up directly in front of our hotel in Chiusa to take you to the mountain preferred by Bressanone citizens, the Plose, on the Alpe di Siusi or in Val Gardena, the ideal entrance to the Sellaronda ski circuit. 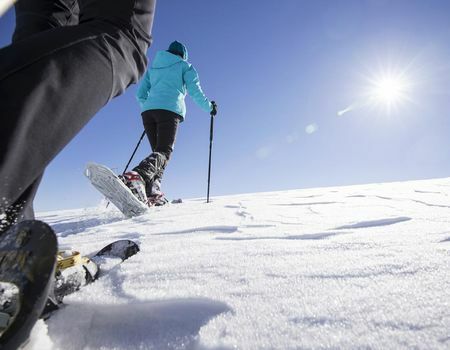 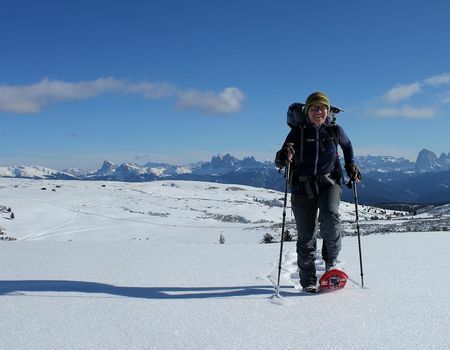 Snow-shoeing is most enjoyable especially in the Alpe di Villandro and Alpe di Funes plateaux. 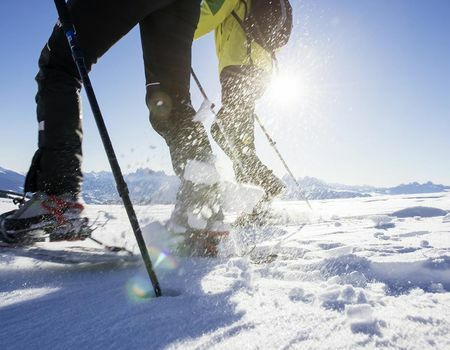 In our hotel we have a practical room where you can deposit your skis, equipped with a ski-boot warming device.